M.I.A. Pets: Where are they? 2009 was an exciting year for pet collecting and we hope that 2010 will not disappoint. Other than speculations about a new pet for the upcoming Winter Olympics (a moose or the Essence of Competition), there is not much pet news to report. We got to wondering about the previously seen or reported pets that haven't made it into the game... yet. Here are some MIA companions that might be coming to a server near you sometime in 2010. Last Seen: This little fishy was sold by a vendor in Lake Wintergrasp in the WotLK beta. He was supposed to be summonable only in water, though players were able to summon him on land as well. 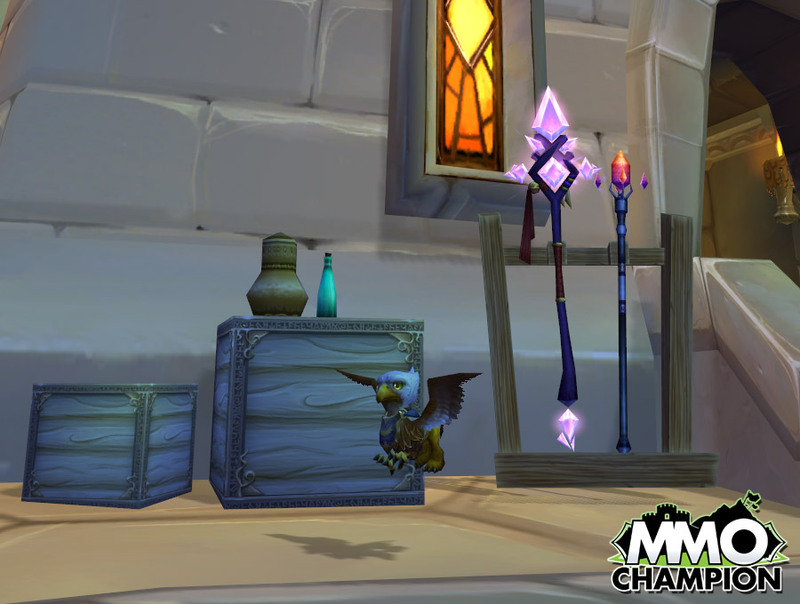 We hope Blizzard can work out this issue so pet collectors can enjoy a new fishy pet! Last Seen: Models for these cuties were datamined from the patch 3.2.2 PTR, though they have not been seen in-game. Some speculate that these will be an upcoming addition to the Blizzard Pet Store. However they are added, we hope they go live soon. Found! These are indeed Blizzard Pet Store releases which come as a code for an in-game pet with the purchase of their corresponding plush toy. If anyone has any information about how this pet is obtained, please let us know so we can add it to the site. Toxic Wasteling - Right Click to summon and dismiss your toxic wasteling. Do not feed toxic wasteling. Do not allow toxic wasteling to approach small animals. Do not touch, sniff, or even look at toxic wasteling for extended periods of time. It sounds like this could be a slime creature that will consume critters and maybe even other vanity pets! Some have suggested that it should be added as a drop off Professor Putricide – though I hope it doesn’t grow into an Angry Poo-Poo! Found! This was a surprise pet for the Love is in the Air event.